According to the MCAT Essentials for Testing Year 2016 there are no formal MCAT prerequisites. That being said, it’s not wise to take the exam without sufficient preparation. Here, we’ll describe the informal MCAT prerequisites that students should aim to complete. Here are some courses that will help prepare you for the MCAT — and fulfill general medical school admissions requirements! Chemistry (Biochemistry, general chemistry, and organic chemistry): a total of four semesters equivalent of chemistry that must include general chemistry, organic chemistry, and biochemistry. You may choose how to divide up the four semesters so long as you take at least one semester of each. For example, you could take two semesters of organic chemistry and one semester each of general chemistry and biochemistry. General chemistry and organic chemistry should also be taken with laboratory components. Of course, these are all informal MCAT prerequisites — the admissions requirements for medical schools vary with each school. For example, the subjects that were introduced on the new MCAT (biochemistry, psychology, and sociology) aren’t currently required by most medical schools. This is likely to change in the future though. These subjects are still tested on the new MCAT and taking these classes is helpful preparation. However, it is up to you how many of these classes you want to take before your MCAT. Generally, the more classes you take, the more prepared you are for the exam. With four years in college, you’ll definitely have space in your schedule to take many more classes than what we’ve included in our list. If you want to take additional classes to help with the MCAT, consider taking more advanced biology classes. These include physiology, genetics, cell biology, microbiology, molecular biology, cancer biology, endocrinology, and more. Your general biology classes will cover these topics but only briefly. Taking advanced classes will give you a much better understanding of the material, which will help with the MCAT. This is also true of the other subjects tested on the exam but is particularly effective for biology. 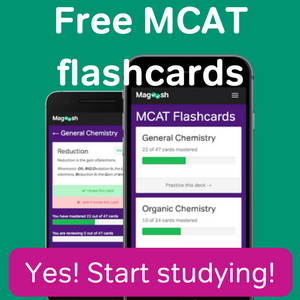 Besides these formal courses, there are many online resources, like Magoosh’s MCAT prep, to help you prepare. Can I Start Preparing for the MCAT in High School? What Classes Are Needed for the MCAT? Hi, I alr graduated from school and I have not studied chem or bio during my study. I am prepared to self study and take MCAT, coz I am quite good at exams. But I know that most medical school would have a prerequisite that certain credits of chem bio must be obtained. In my case, I have no more chance to take any modules. Does it mean that I have no chance to get into med school? Thank you very much. I was trying to search online, but I realized my case is really rare and most people would have studied or have a plan to study the prerequisite. So I have to come to your help. Your situation is actually quite common! There are quite a lot of career changers in the field of medicine these days. Career changers are students that went to college and majored in subjects completely unrelated to medicine such as English, sociology, business, or art. Many of these students go on to be accepted into medical school. 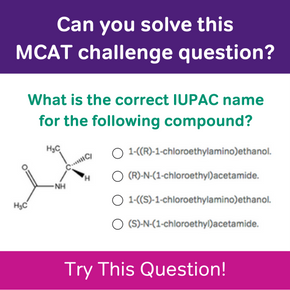 While it is certainly possible to self study for the MCAT without taking chemistry and Biology, you do have to take chemistry and biology to get into medical school. If you do not take these classes, your chances of admissions will be extremely low. The good news is that there are many opportunities to take additional classes after receiving your undergraduate degrees. Many career changers will go on to do a formal post-baccalaureate program or special master’s program. For students that are missing only a few classes, taking these classes at a community college or college extension program also works. My friend has finished his schooling in India (i.e. his 12th grade ) after which it is customary in India to give an entrance examination to pursue medical school in India. 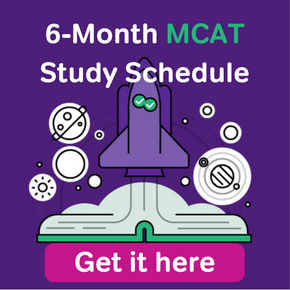 Would it be right for him to give the MCAT considering that he has appeared for exams in Chemistry, Biology and Physics.Considering that he is already through with these subjects should he take the MCAT or apply for post baccalaureate courses? Or should he take the SAT first, do the pre requisites u mentioned and then take MCAT ? In American and Canadian universities, the MCAT is only for graduate studies, not undergrad. If I understand correctly, your friend has just finished the Indian equivalent of an American high school degree? In that case, your friend will likely want to take the SAT and look into baccalaureate pre-med programs if he wants to start medical school right away. TO make sure that’s the right course of action, though, I suggest that your friend show his transcripts to prospective universities, and ask them exactly which entrance exams are required. I have just completed my 12th grade and I am preparing for the undergraduate medical program. Should I prepare and take the mcat exams? Or only someone to wants to do the masters degree gives mcat? I even don’t know that mcat is for my levels or not? The MCAT is an admissions test for graduate-level (post-university) medical doctoral programs in the US and Canada. If you are not in the US or Canada and attending medical school as a university student, you probably don’t need to take the MCAT. If you aren’t sure, I encourage you to reach out to your school and ask about their requirements. Good luck!